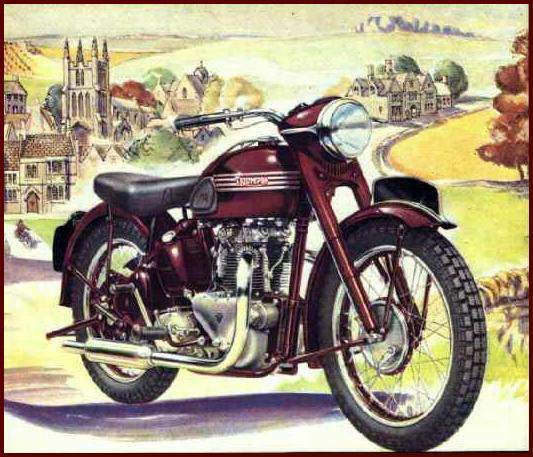 Here’s the original: Triumphs Speed Twin. Distant times and faraway places. 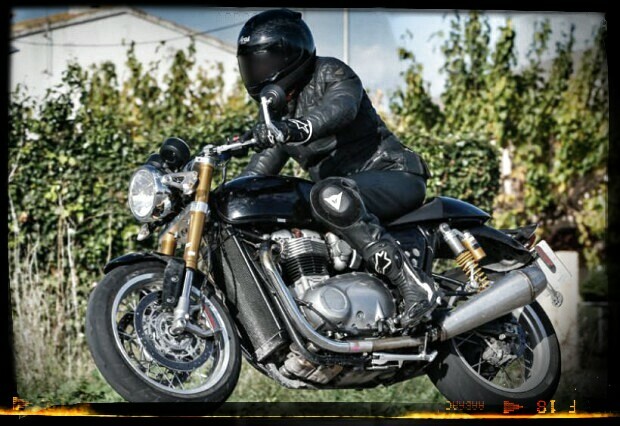 Espied jaunting around the highways and byways of Mediterranean climes is what the motopress believe to be Triumphs next monster-killer. 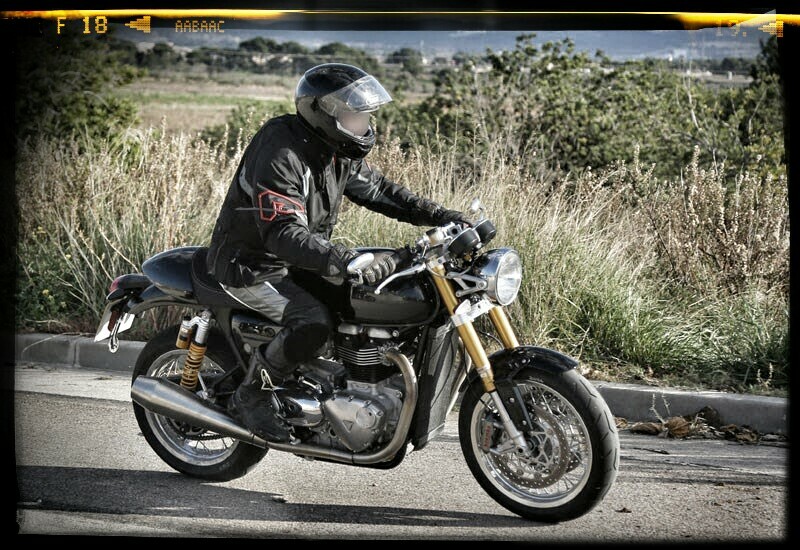 Basically the Thruxton on steroids and given a Gold’s Gym membership. 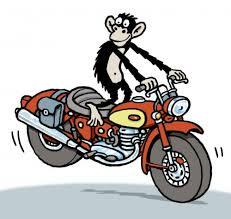 The 900cc engine pumped up to an assumed 1200, 180 shod rear wheel, Popeye like front forks, forward leaned stance. Big front stoppers, proud mufflers, wire-spoked wheels. Apparently it may come out in the 2016 model line up. 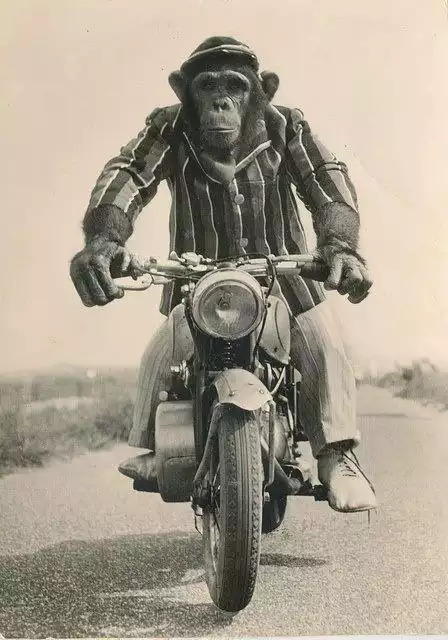 Possible name is Street Tracker. 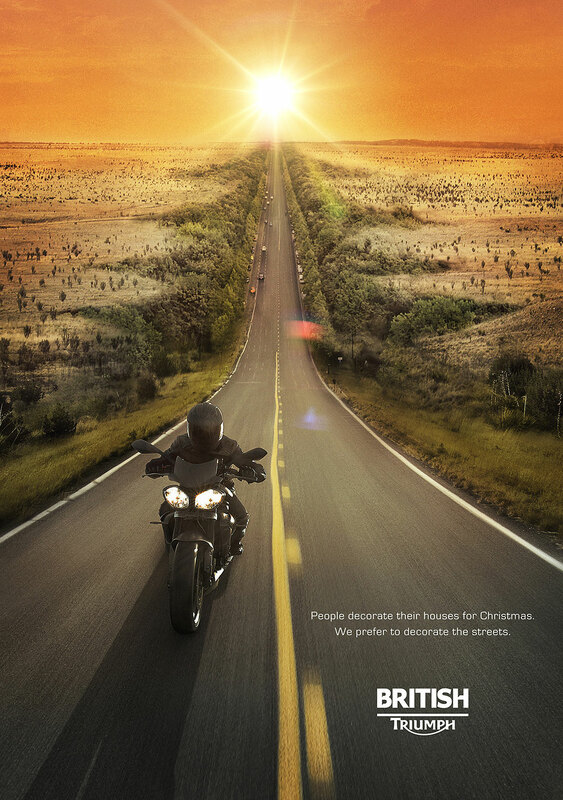 I’d rather see it called the Speed Twin. Better start saving my pennies! As a New Year approaches sometimes you just need to hang on and have trust in the captain of your ship. 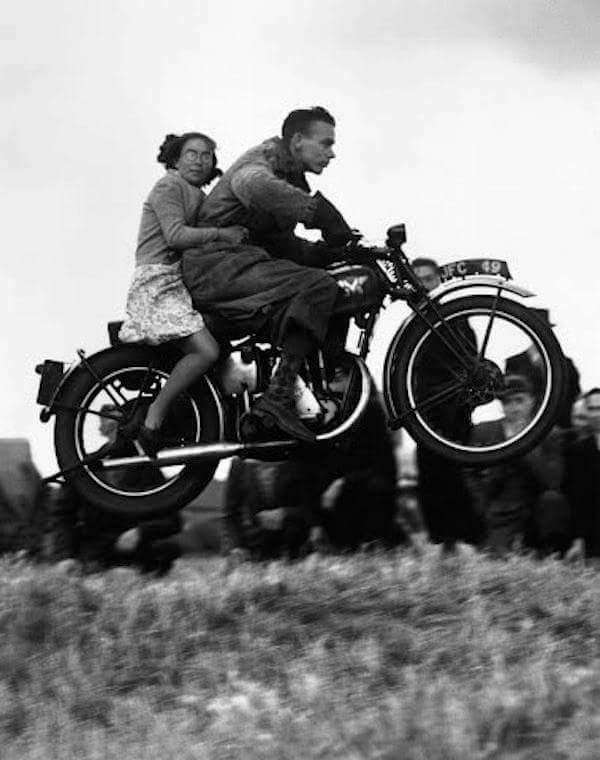 A determined pilot is looking for a suitable landing and his pillion clings closely. 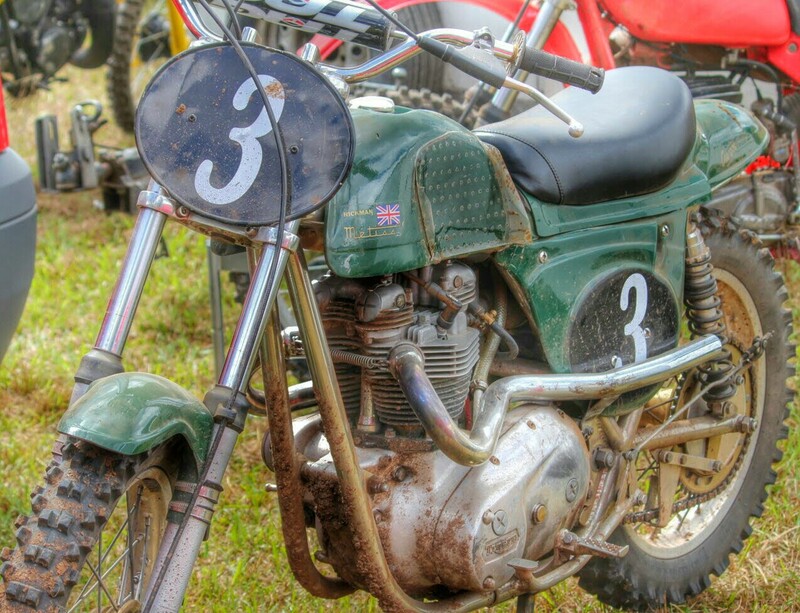 This is a late 30’s G3 with the girder forks. 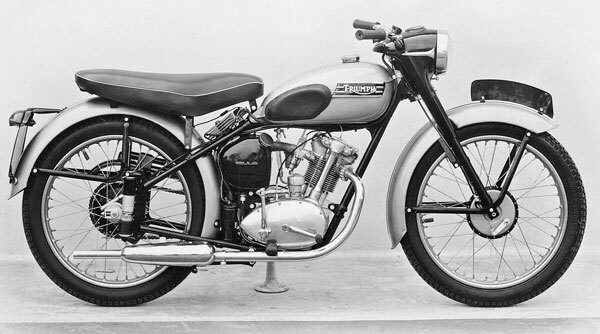 Once the teledraulic forks arrived a year later the Matchless single cylinder 350cc became one of the most popular wartime bike. Earlier Cub in technically clean appearance. Plunger rear end, nacelle headlight. The overall lines are balanced with a just-so form. 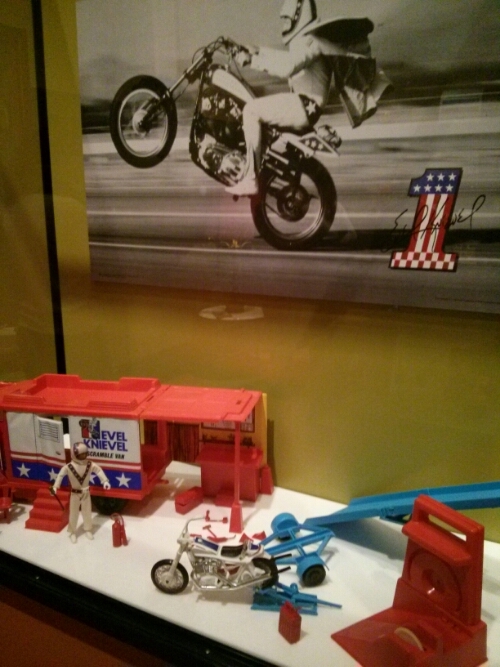 An exhibit about vintage toys at the Museum of Minnesota in Saint Paul included this collection of Evel Knievel’s stunt bike, ramps and trailer. 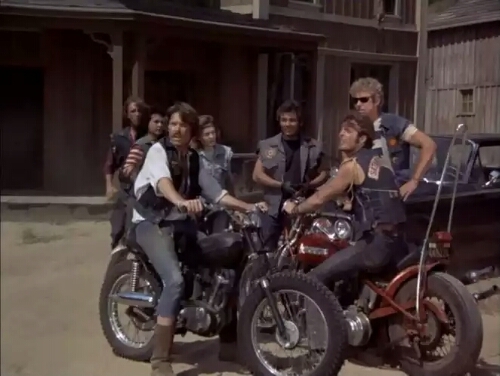 I had the chopper and remember revving it across the playground at Wooler First School. NOT a good look! 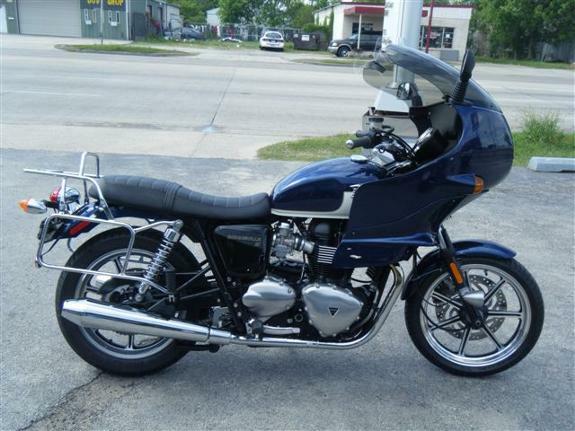 Someone had mounted a BMW boxer fairing to a Bonneville. True affrontery! 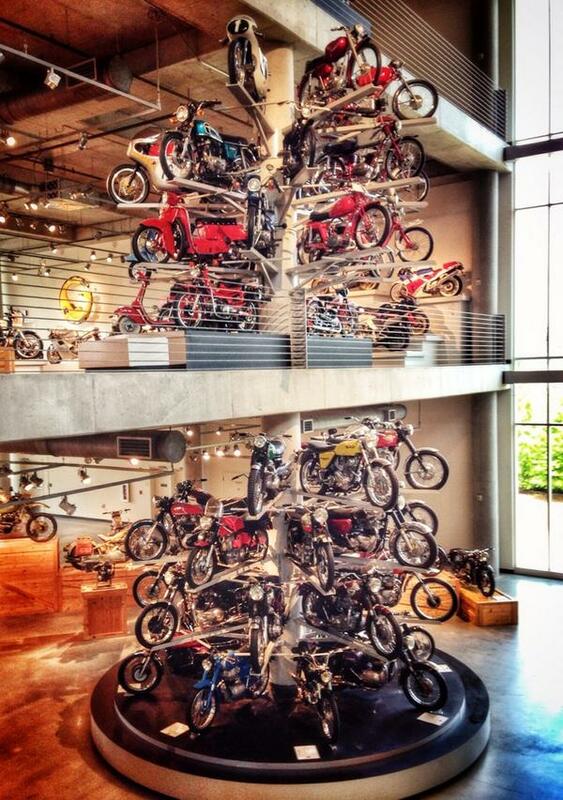 Better yet… Just make your whole tree a branching of classic motorcycles like this one at the Barber Museum. If you’ve been good this year! 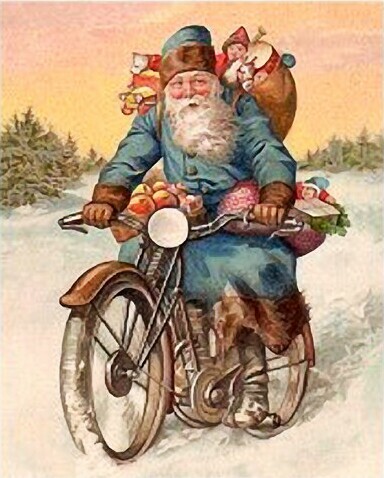 Old Saint Nick gets out and about in style. I bet he has well honed tire studs in too! Sometimes you get to the end of the year feeling like a worn out Triumph. Sludge in hidden crevices, collapsed seat, flat tires, dull finishes, all the oomph has gone and scarpered… Well, another year rears its head as well as the downhill side if the decade (whatever that means!). 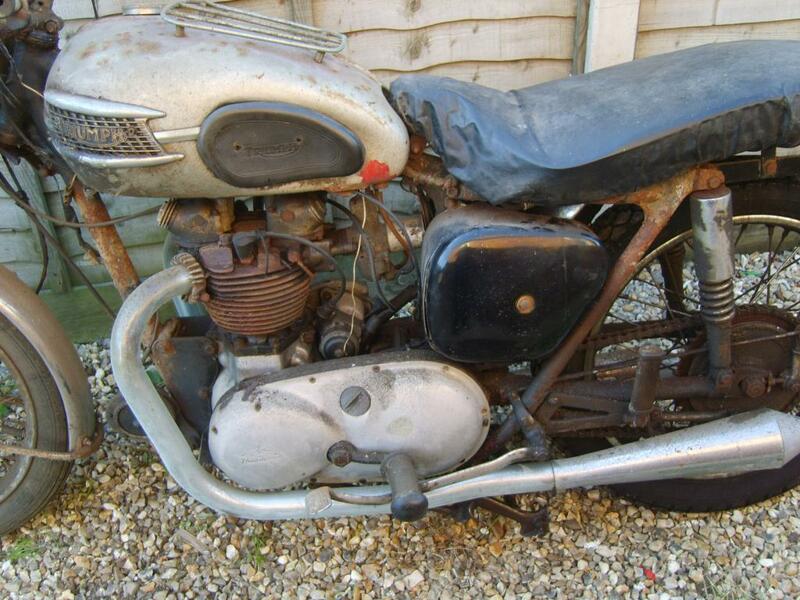 The Metisse Triumph is a purposeful looking motor. Green is the right color, good off-road details too. I can use these for some finishing details on the Cub: high pipe, chain tensioner, handlebar with crossbar pad, clean cable routing, big comfy saddle. What better way to recognize the true end of the old year and beginning of the new one than a jaunt to the grandest of Ancient Monuments: Stonehenge. Sitting proudly on the Wiltshire plain as it has done for over five millennia it truly is a connection to our prehistory and its mystic ways. Lately (well the last hundred years or so) it becomes a gathering spot for neo-druidism. 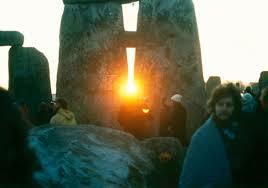 Here’s a photo from the seventies with the winter sun peeking through a pair of standing stones. I found this photo of some travelers stopping off at the site in the mid sixties. 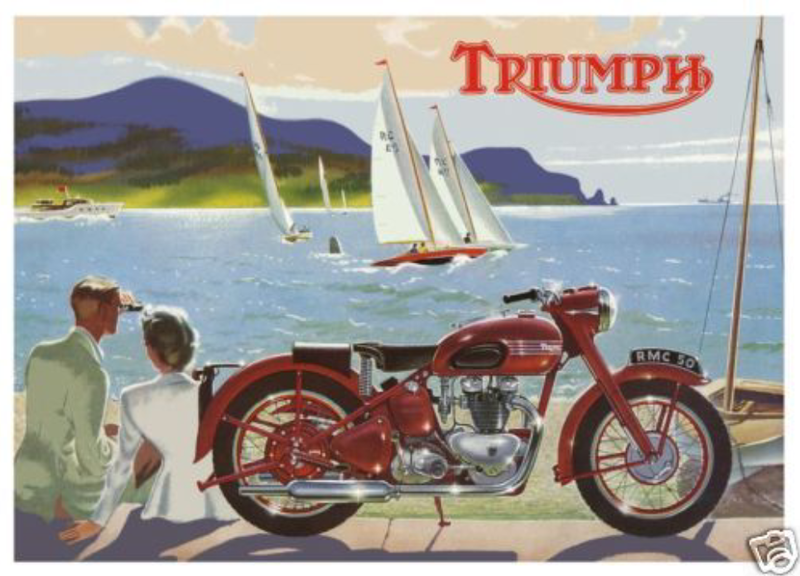 A Triumph steed sits with baggage for a decent looking roadtrip.This was when everyone could stroll across the lawns to it. A Morris Mini sits parked nearby. We went to the Bowie exhibit at the Museum of Contemporary Art today. A wonderful combination of Sound & Vision. 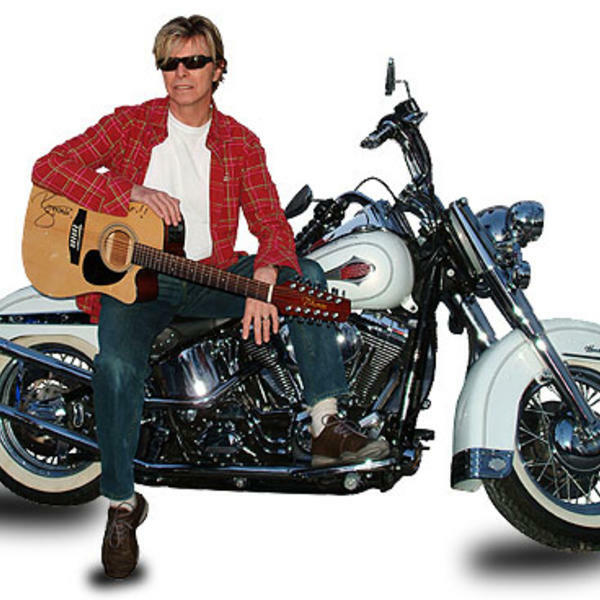 His fashion, art, inspiration all wrapped up with his music and range of persona; be it Ziggy Stardust, Major Tom, or Aladdin Sane. 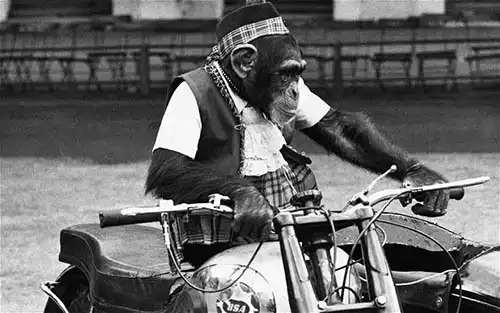 Sixties Canadian TV show with biker gang member toting around on a Triumph Cub…. Must be an initiation thing! Unless you dress up as a public schoolboy, blazer cap and all. Form Captain?